Delta Corporate announced Tuesday another annual earnings record of $4.5 billion, approximately $2 billion more than 2013's previous record. Delta CEO Richard Anderson touted our "industry-leading operation, superior customer service and a 70 percent increase in profits" in a statement to investors. 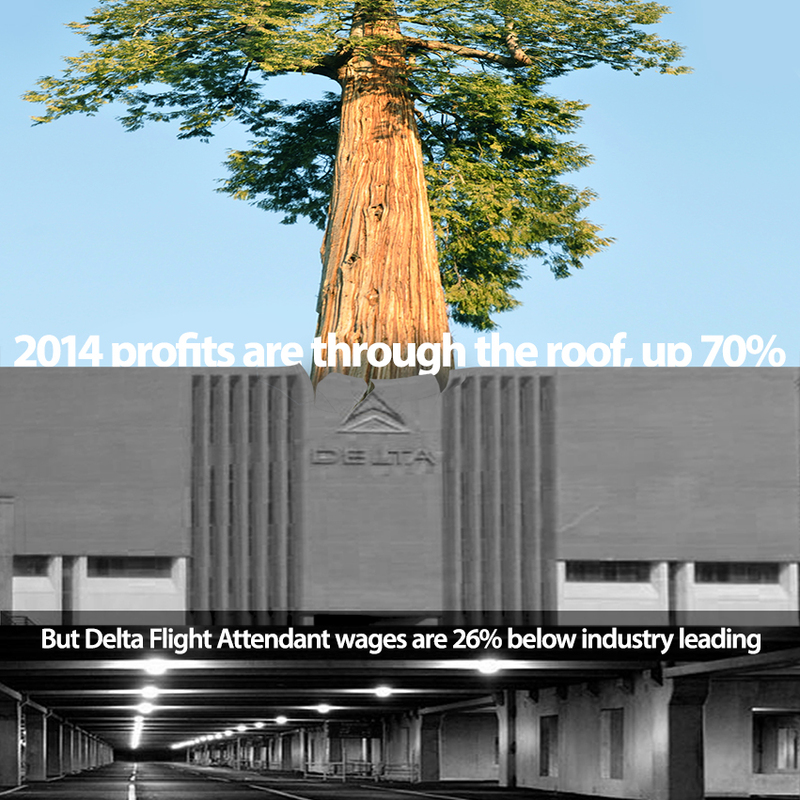 As Delta Flight Attendants, we are key drivers of our airlines' superior financial and operational performance, yet we remain far below industry-leading in wages, benefits and work-rules. We are 26 percent behind industry-leading wages right now. We have the most expensive health insurance among our industry peers and our prescription drug costs keep climbing every year. Our "work-rules" are merely suggestions and change at Delta Corporate's whim, without our consent. With a Voice we will change this. We are a talented, intelligent, positive and inclusive group who can make Delta a better airline for everyone by gaining a Voice in our future. When our election is set remember to Vote Yes for a Voice, Vote Yes for IAM.